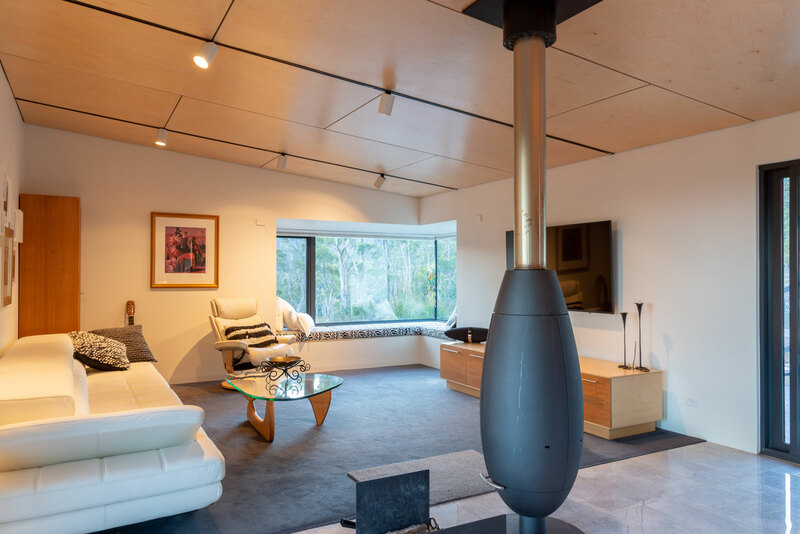 Constructed over 2 levels, the Ridgeway house comprises 3 bedrooms, 2 bathrooms, 2 living areas and a double garage. 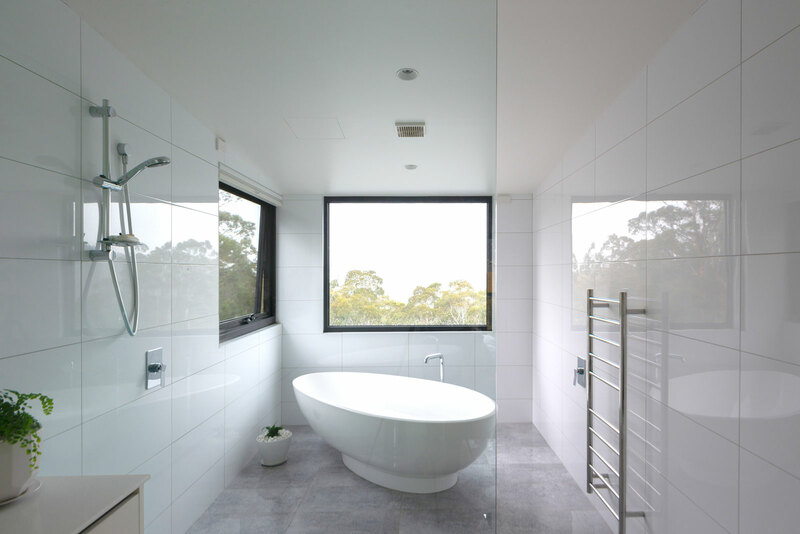 The plan has been arranged to achieve good passive solar attributes and together with high thermal mass, high performance thermal insulation, double glazing and spatial compartmentation means that internal temperatures are very pleasant for most of the year, and supplementary heating is usally limited to an efficient wood heater during the colder months. 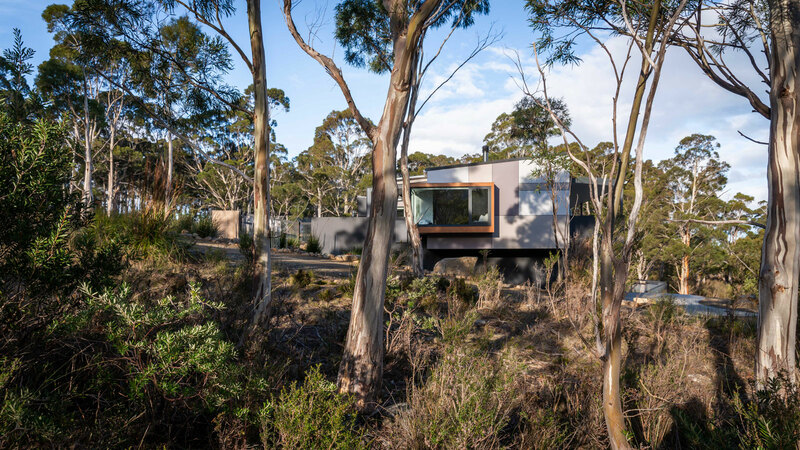 The site had been partly cleared and benched at the time of subdivision and that together with stringent permit conditions covering site envelope, height and environmental requirements dictated a careful approach to design. 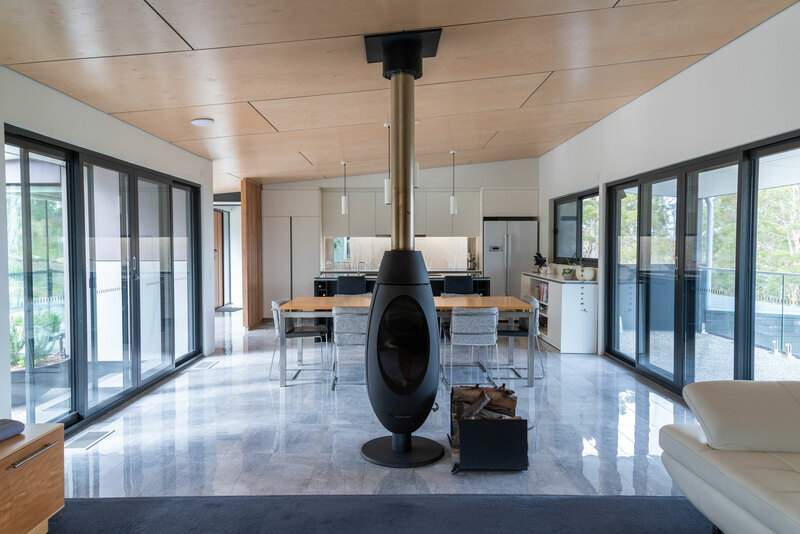 The BAL Assessment required construction to BAL 29 or higher so the house incorporates ember screening to opening windows and roof gutters, and bushfire shutters to glazed door openings and entry alcove. 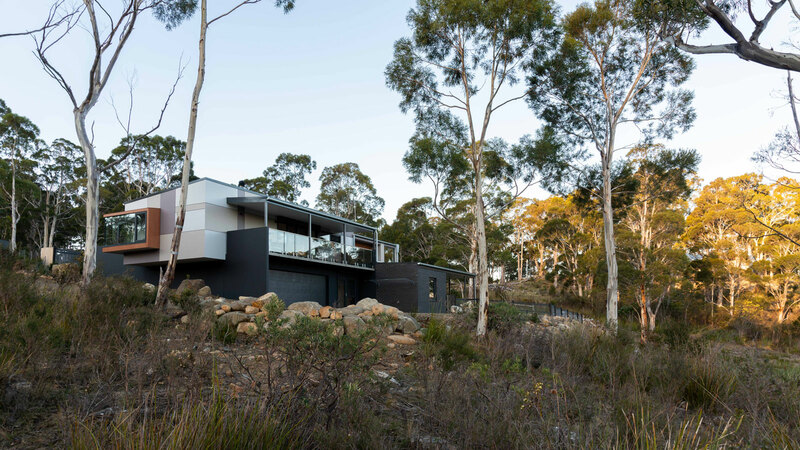 Rainwater is collected and reticulated and an onsite wast-water treatment system means that the house is self-sufficient waterwise. 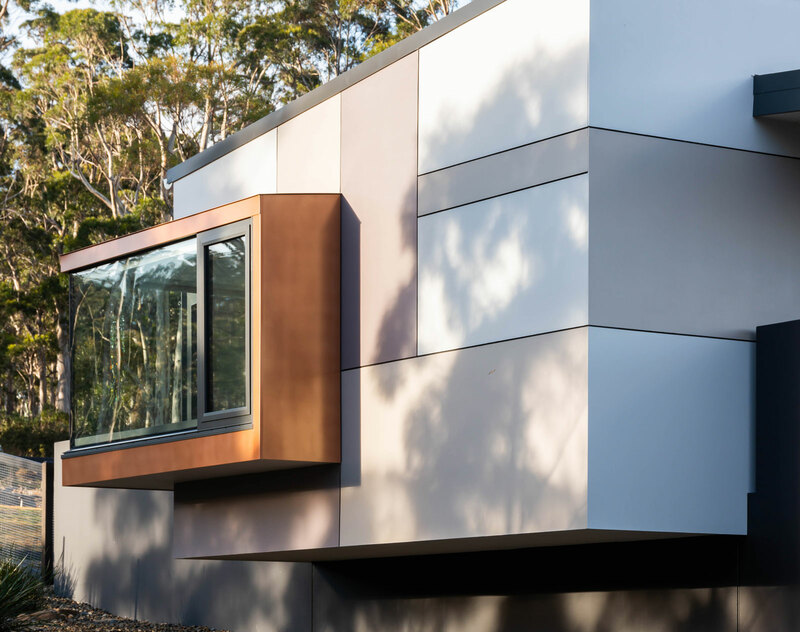 Materials comprise tiled suspended concrete floors, precast concrete panels, framed cement sheet cladding and brickwork walls and Colorbond roof with Whitebirch plywood lining. External colours were sourced to pick up on bark colours and forest shadows, resulting in a pleasant and partly pixelated appearance. 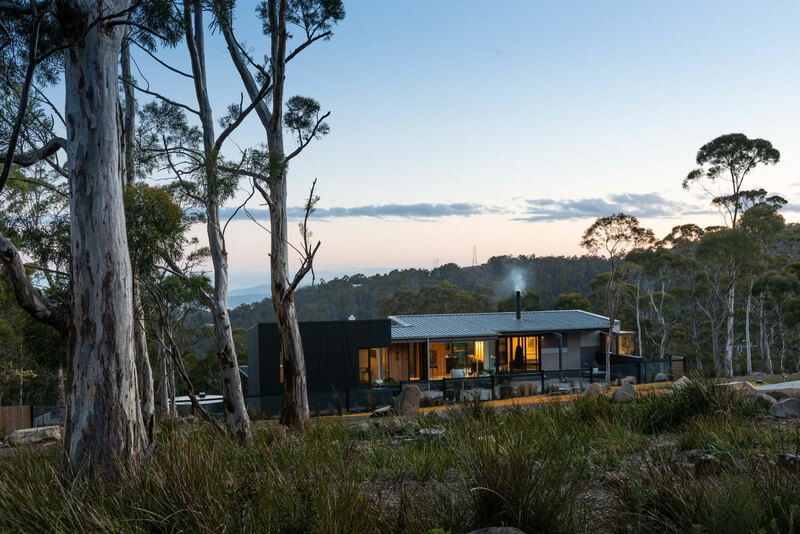 Distant layered views to Dontracastreaux Channel and Bruny Island and proximity to wonderful Mount Wellington provide a delightful backdrop for the house from most viewpoints.